Today I’m posting the biggest collection until now on the blog. 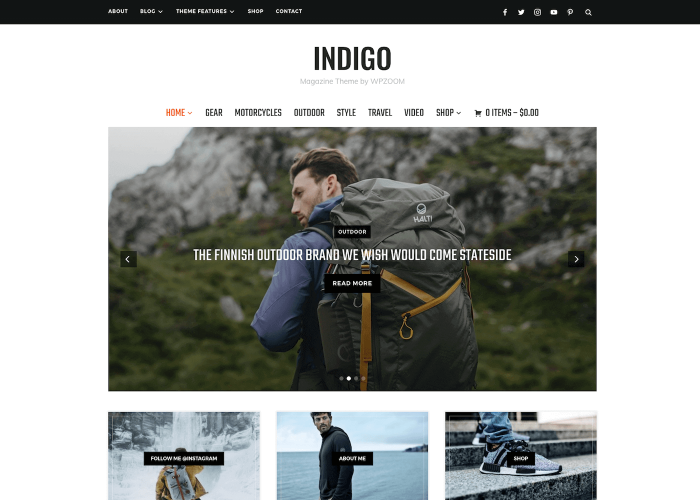 This collection includes Free & Premium WordPress Themes, most of them have magazine or grid layouts. thank you for listing my theme! #5 is the best! Best Themes selections by far. Wow… I didn’t know there were that much free premium themes out there, thanks for the list! Thanks for including my wordpress theme and you did a great job. 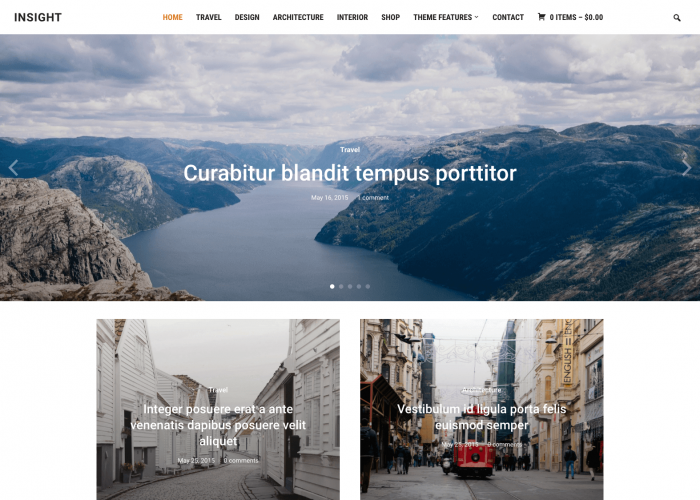 This is the best collection of wordpress themes. Bookmarked! Nice list except for all the Mimbo theme rip offs. Re-arranging someone else coded and changing a little CSS does not make it ok to republish it as your own. This themes are very cool!!! Thanks for including Futurosity Eos in your list (as well as Underscore, which I designed before I sold Upstart Blogger). Great list! Some excellent themes here that I hadn’t seen before. Nice roundup, and there were a few that I hadn’t seen before like #1 and #2, which both look great. Super good collection of wp themes, worthy of a bookmark, I know I had spent nearly 2 hrs to find a OK Theme earlier. What an awesome list you have it here. My preference goes for theme #1. “Free Premium”… That just sounds totally stupid to me. Thaaaaank you man. This is fantastic, great, big!!! 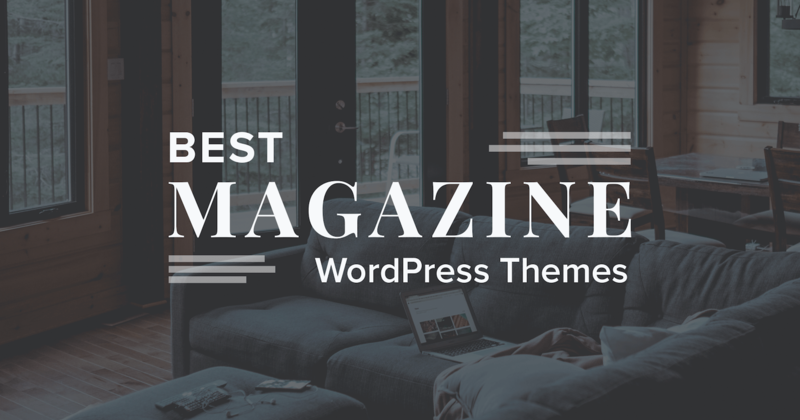 An amazing list of WordPress themes. It’s great to see a good list of actually amazing looking themes, rather than a list slapped together just to get people to click on your adsense links. Nice list :) Though a couple of them look pretty old and lame, but overall the list is great! Nice post! Thank you! I was searching for this! Ótimo artigo! Obrigado! Estava procurando algo assim! Great list! You might want to include also these Magazine themes. Awesome list ! Great ! Really nice list. It’s one of the best I’ve seen in the last year. Thank you for sharing! No. 18 is his Options, which is much — better isn’t the best word — more “optionable?” but Structure is clean, functionable and easily customizable. thanx a lot guy, i´m from brazil!!! beauthy layouts. Hi Pavel, and thanks a lot for your link to OpenBook theme. pav, you’re awesome, i know that’s sound narcise, but you are. these are great! i suddenly have new ideas for my sites. pay-per-click strategies blog to read my latest post. “If you liked this post, buy me a coffee if you want..” Sounds quite stupid even more stupid than Free Premium. 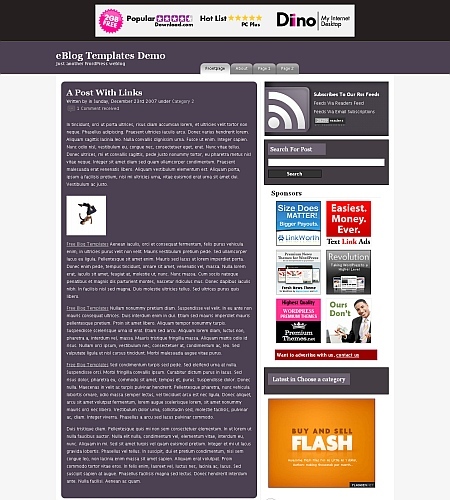 Wow.. great wordpress themes.. Love the WP Gold..
Be advised! The guy who created the Jello Wala Mello theme sold his website to someone else and there is no more support for it! There is a support forum, but it is unmanaged and filled with spam! I didn’t find this out until I had already spent many hours customizing the theme. I love the theme but have some issues that I have no hope of getting resolved because the creator has left the planet. Nice List! We will include this in our next toolbar update. Thanks for putting OpenBook in the list! Btw, I wrote a tutorial about customizing OpenBook theme, you can read it here. Thanks for sharing this huge list. Hot collection of themes! I’ll be picking up one for my blog. Great, great, great! Awesome list..!! Thanks for sharing…. 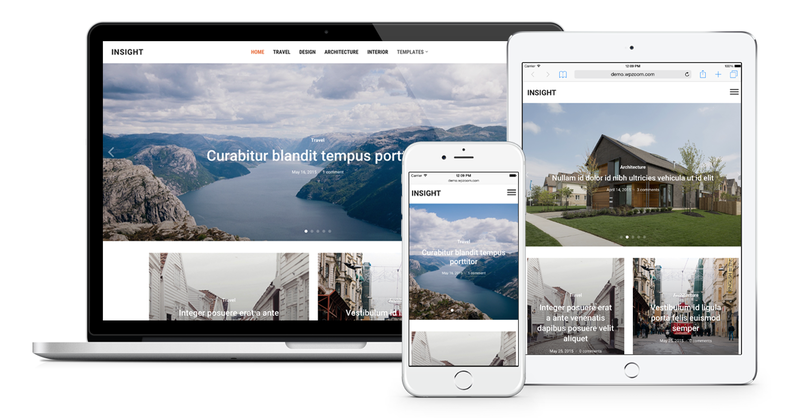 This is a great collection of wordpress themes. thanks for sharing this. thanks … more mag-style themes here! Great variety here! Thank you very much. Linoluna theme looks nice, very good use of space, wp magazine is just like revolution theme. Thanks for this great list. Great themes. Thanks for sharing. Nice list. Very nice list of WP themes. Thanks for them. O melhor site de temas..
Com temas premium, de GRAÇA !! Thank’s, very good themes. I use it. thanks very goog themes. nice work. 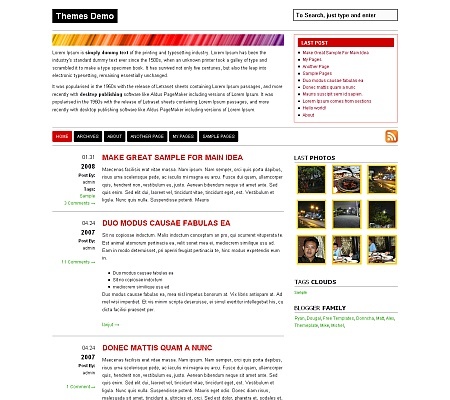 Waw…this is a cool wordpress themes listing. Thanks for sharing. Good list of wordpress themes. Great themes, downloaded some of them already! The great part about a list with this many items is that they tend to have at least a few that one would want to try out and use. The quality of this list is quite high as I can notice quite a few that one might want to try out after analyzing them for a bit. Realy great selection and thanks thanks l love it. Great list! Will deffo be using a couple of these,thanks! What an awesome list- thanks! Great themes. Nice page. congrats. Wow, nice collection of themes you have there. I’ve actually used one of these before but just recently came across this entire list of very professionally put together themes. I cant say thank you enough to you !! Once again, thank you !! hi, i like ur arthemia themes, would u help me to find the plugin to make my blog to be the affiliate blog?i will pay any one who refers his/her friends to my blog with their own referal link. thanks. Thank you so much. I loved to find out these templates. Wonderful job. Thanks again. The great part about a list with this many items is that they tend to have at least a few that one would want to try out and use. The quality of this list is quite high as I can notice quite a few that one might want to try out after analyzing then for a bit. I know this has been said before but that is truly a great collection of some nice magazine themes. Even tough I haven’t had a closer look on all of them I’m sure there is one that will fit my needs. Thanks. Oh! Great Collection of Nice Themes..
my blog use no. 1. it’s great! For free and PREMIUM Themes. i like ur arthemia themes, would u help me to find the plugin to make my blog to be the affiliate blog?i will pay any one who refers his/her friends to my blog with their own referal link. thanks. 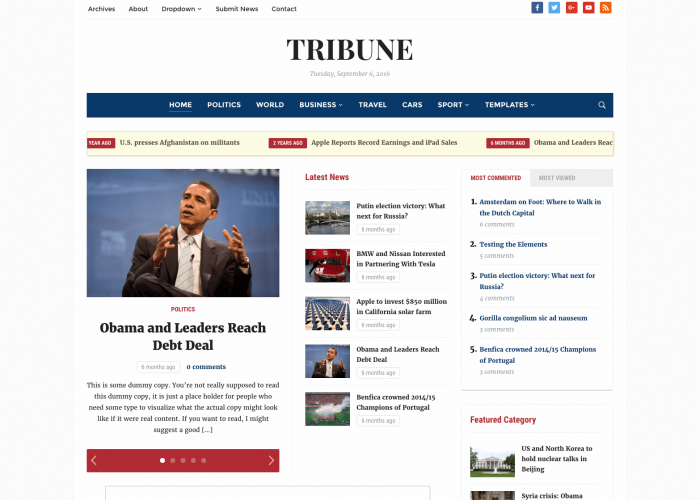 Great wordpress themes. Thanks for sharing. I had to wait for 5 minutes for the page to load completely, but it was worth the time. Thank you so much for all this theme released. It very helpful for me. You forgot to list my theme release Igloo News – http://bizzartic.com/bizzthemes/iglu/ (demo)! Otherwise a nice collection. Thank you mate for this huge lists. 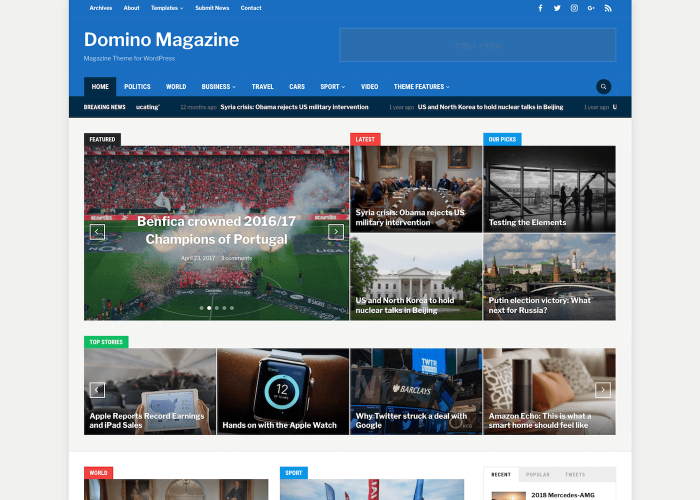 Nice theme dude.. I’ve posted some magazine style and premium wordpress themes at my blog. Woww realy great themes. I translate to Turkish lang and use this Tube theme my rulman fiyatları bayileri modelleri web pages. this is really awesome theme.. Thank you for publishing this list, this solved some of my problems. I must say all these themes are amazing, i had few of them [free ones]on my blogs, but found some new ones as well. Thanks for sharing mate. Nice article and templates/layouts. Thanks for the share. Thank you for these nice templates. Good work Two thumps up! These themes are absolutely stunning. I had no idea how many great themes were out there in the wild. There is inspiration for a whole year here. Thanks for keeping the quality up. I’m glad arthemia premium is list first in your list. It definitely a good theme. Thanks for collecting the theme information. Nice wordpress themes..will be very useful for me. Thank you..will wait for more..
They’re not all great by any means, but there are some good one’s in there. Thanks a lot! Thank you for sharing these themes with us. I have 2 brand new websites which im looking for a nice plugin for a theme. Thanks for the themes. BlueGrey and BlueMin are looking perfect! Awesome themes. They are really Premium! Thanks! Hello Pavel, and thank you very much for sharing the themes with us. I was looking for advanced themes on a budget for my blogs and it seems that my searches end here. Thanks again and will come here more often. They are really Premium! Thanks! I can’t believe I only just found this page., This is a killer resource! 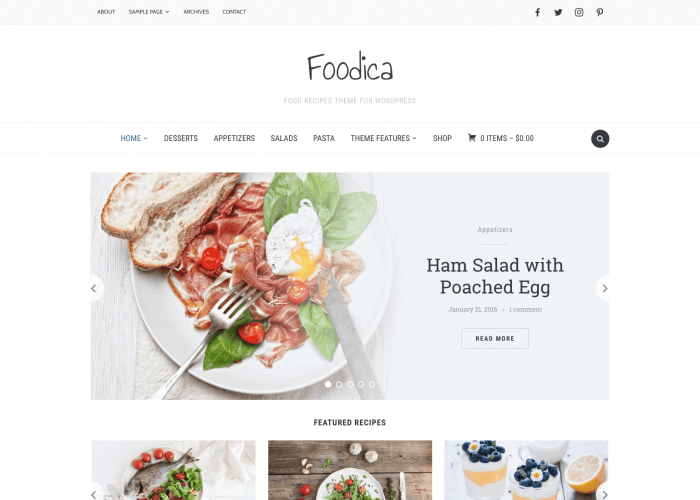 These are fantastic and great looking themes for wordpress. I am new to wordpress. I wonder how easy is it to customize these templates? What kind of expertise are required in order to start using these templates? 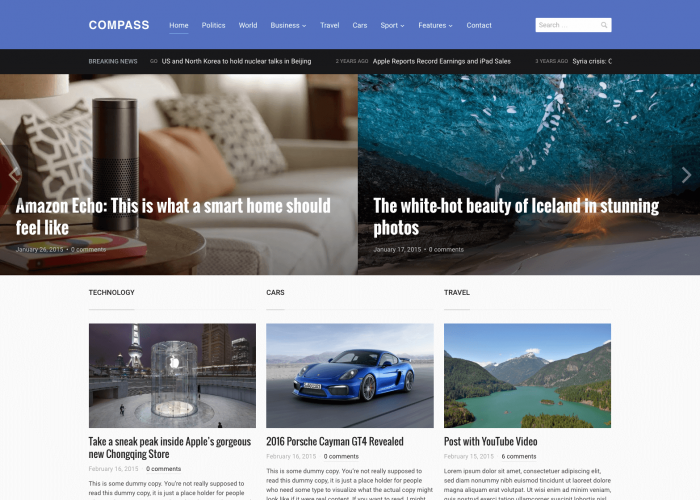 These are fantastic and great looking themes for wordpress. wow great stuff. thanks for sharing!! Thanks, really nice themes, difficult to find the best. I had never thought we could have magazine themes free. They are really awesome and some are more good then premium themes. well, I’m still looking for a new theme till this moment.. thanks for giving so many nice options. What strikes me about this websites templates is that each and every one is sleek and professional, with not a dud one anywhere in the mix. This is a great list. I just looked through all of them. Thanks for taking the time to do this. I noticed that many of the themes that you use to be able to get for free are now premium themes for purchase or part of a membership site. If I launch a free theme I keep it as a free theme, isn’t that the point? or am i missing something? I often find myself coming back to reference your fine list. There are some you left off – Revolution (StudioPress.com) themes. They are no longer free but as a new designer, developer I find their themes very professional and code friendly, not to mention aesthetically pleasing. Otherwise a pretty good list. did u have theme for real estate ? Wow really nice work there. 31: bizfresh is a free ? good joob , very very good. Your theme is so nice. Esperially it is nice as visual. AWESOME theme, definitely going to put this one to use! This is an amazing collection of themes. There are a lot to choose from and it caters to different personalities and needs of the bloggers. I’m not sure about the tag line though because when I heard the word “premium”, what comes to mind is it’s something that I need to pay for. It would be much better if you use the word custom-made or something like that. 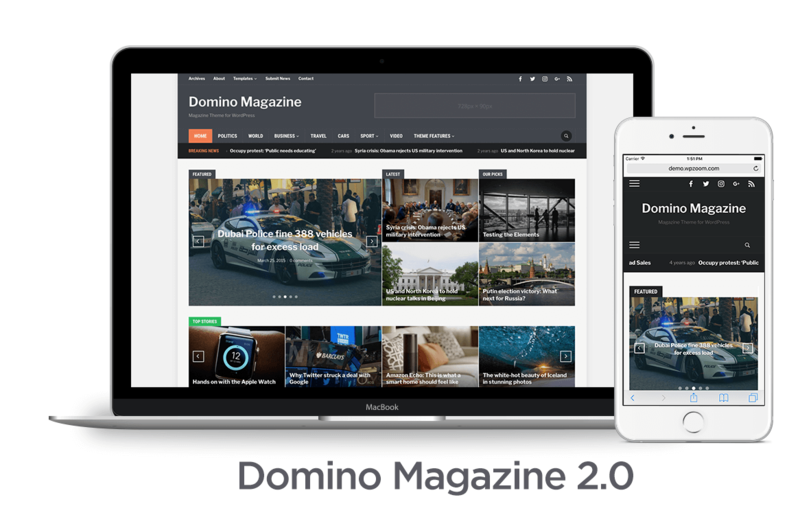 I have to admit that wordpress themes are getting better every day. I wish I have this kind of creativity to give back to the community some day. I will have to remember this list whenever I get around to a redesign, thanks. 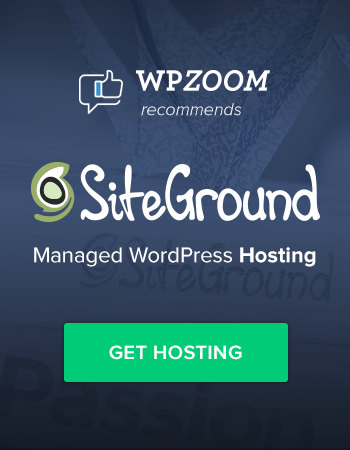 nice blog thanks so much..
Great list of WP theme! linoluna is my favorite theme because it has clear background. nice blog thanks so much, Very nice list tou’ve got here!! Thank you for the great list! . Nice Job. Bye. Amazing list! I really enjoyed the generous exhibition of the themes. Thanks you great job! Perfect web sites they are..
hmm yamido magazine and the one after that are all i tried and they arent free. so why are they in this post ! I guess I will use the WyntonMagazine Template for my new site, it looks stylish. Just used the Box theme !! very nice…. i wanna collect them too on my blog.. Very nice collection of themes here….definitely going to pick one. Its so varied, illustrations inspire me. Thanks for your share. I really need a lot of free good theme right know. Thanks for this share, this is my favourite themes..
Love this collection, really helps! dumb. some of these cost money. Total let down. Great themes though. Just wish they were actually free..
Hi! This’s good! My favourite theme is “swift”, a great theme for wordpress. I hope your comment this site of my portfolio. This is great music!